Cyber Monday was America's biggest e-commerce sales day ever. Data collected by Adobe found U.S. online orders totaled $3.07 billion. 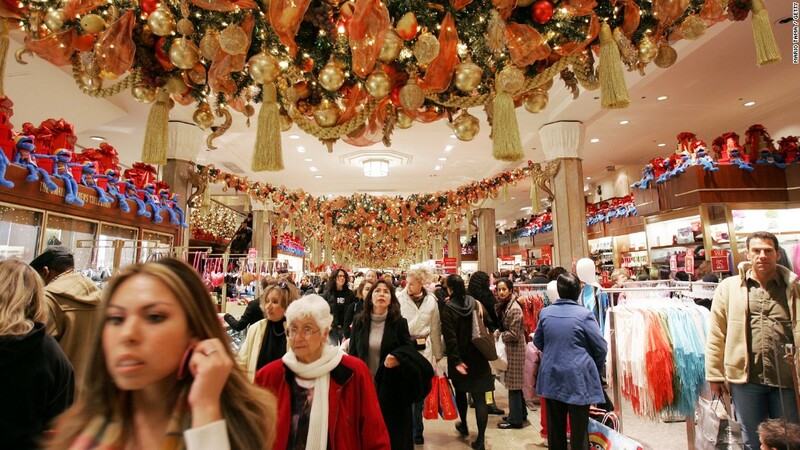 The previous record was set last week on Black Friday, when $2.74 billion worth of merchandise was sold. The sales total also marks a 16% increase from Cyber Monday last year. Adobe (ADBE) says hot-ticket toys and electronics are selling out quickly. On average, about 14 of every 100 products shoppers viewed were out of stock. The same products shoppers clamored for over Black Friday weekend were among Monday's top sellers. The list includes the Barbie Dream House, Shopkins toys, Star Wars Lego sets and Lego Dimensions. IBM (IBM), which also tracks e-commerce sales, said spending was up 17.8% from Cyber Monday 2014, and more customers than ever opted to browse deals on their mobile devices. Nearly half of web traffic came from smartphones or tablets, IBM said, but customer placed actual orders on desktop or laptop computers. About 72% of sales came from computers. Customers spent about $124 on average. "Strong Cyber Monday evening sales pushed the day's close to $3.07 billion, with stronger than expected discounts averaging 21.5%. Mobile sales also reached a sales volume record with $799 million of online spending coming from a smartphone or tablet," said Adobe Digital Index analyst Tamara Gaffney. Social media helped boost digital sales, Adobe said. "Cyber Monday" got nearly 1 million mentions on various platforms, 8% than last year. Cyber Monday had the most positive social sentiment with 56 percent relating to joy or admiration, versus 40 percent for Black Friday. America's biggest online sales day still doesn't come close to topping China's bigget cyber sales day, Single's Day, which is the largest shopping day in the world. It takes place on Nov. 11, and this year Chinese shoppers spent more than $14 billion.